Elegant Series Security Storm Doors are unique designs to protect and secure your homes doors. Each door is made in the US with 16 gauge steel that is fully welded and available in any size in 10 stylish colors. 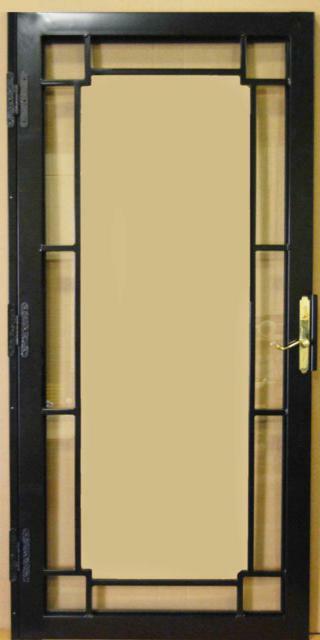 200 Fullview Steel Security Storm Door available in any size single, double, round, arch or cathedral top doors. 201 Steel Security Storm Door is available in any size single, double, round, arch or cathedral top doors. 201-1 Steel Security Storm Door available in any size single, double, round, arch or cathedral top doors. 203 Steel Security Storm Door is available in any size single, double, round, arch or cathedral top doors.